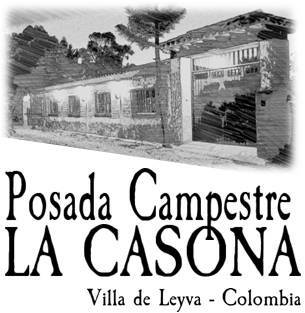 Posada Campestre La Casona is a Country Inn located in Villa de Leyva, just 2 kilometers from the bus station on the main road that comes from Tunja and 2 kilometers from the main square of the town. Its rural location allows it to offer large gardens and beautiful landscapes which can be seen from all the rooms and public areas. Posada Campestre La Casona has comfortable double, triple and family rooms, it is a special place to enjoy with your family, it also has a games room, a mini golf course, a restaurant and terraces to share as a couple or with your family. From La Posada Campestre La Casona you can easily visit all touristic attractions that Villa de Leyva and its surroundings have to offer. A special place to relax and enjoy the nature and charm of the villa. Posada Campestre La Casona has some rooms with a fireplace and balconies overlooking gardens, TV with national and international channels and free WIFI service.